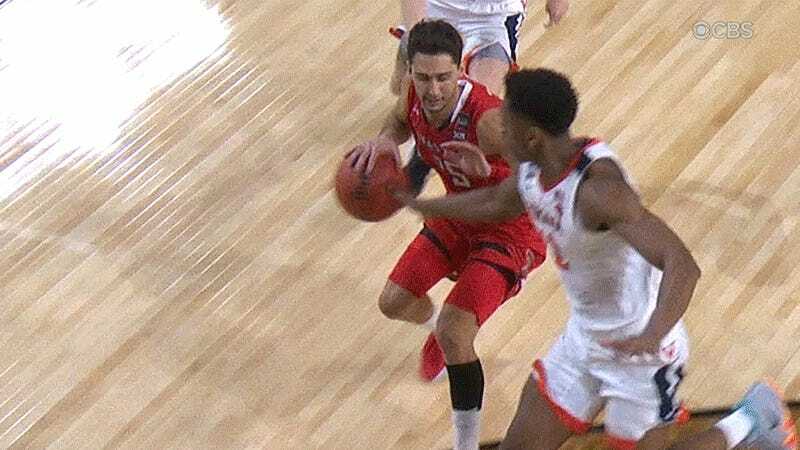 With 68 seconds left in overtime of the NCAA Tournament’s championship game, Virginia’s De’Andre Hunter poked the ball out from the hands of Texas Tech guard Davide Moretti, sending the ball out of bounds. To everyone watching, from the fans in attendance to those at home and especially to the CBS announcing team, this was Texas Tech ball. It’s what the referee first called on the court and it’s how that play has always been called. It was, by any meaningful measure, the right call. But because the powers that be have decided that tedious and technologically-assisted accuracy is more important than common sense and immediacy, it wasn’t that simple. 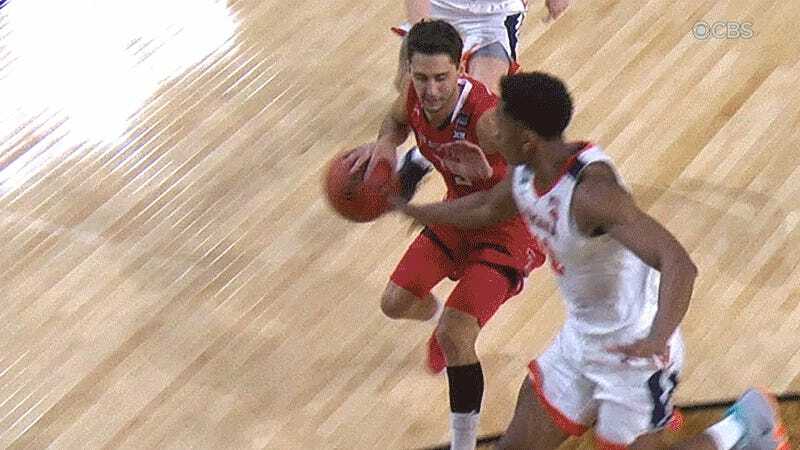 Instead of giving the Red Raiders the ball and getting back to the thrilling conclusion of what had finally turned into an exciting game worthy of a national championship, the referees halted proceedings in order to dissect the play frame-by-frame for what felt like an eternity. The play was slowed down beyond any semblance of what the human eye can detect in live time in search of a revised answer to a question everyone was already satisfied with. Did it help? How about the looped version? Still not clear, right? It wasn’t until what felt like slow-mo replay angle number 47 that it finally looked like Moretti’s pinky finger had actually grazed the ball after Hunter’s hand had ceased making contact. 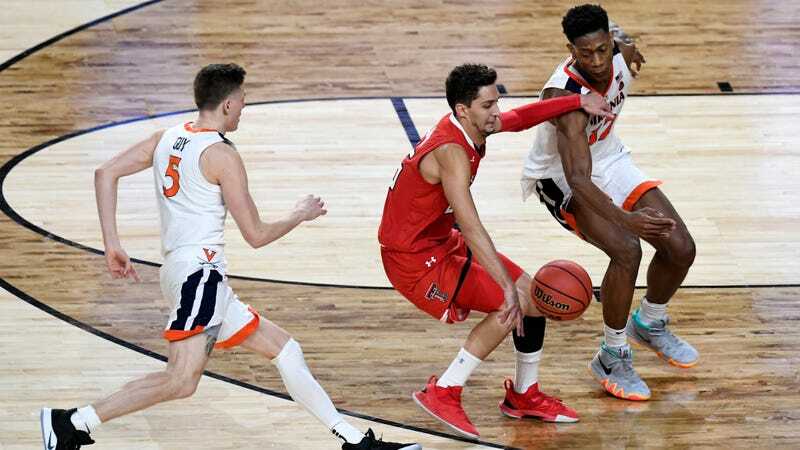 Even then, it took another handful of replays to confirm and re-confirm and notarize the confirmation and mail the decision off to the Attorney General before the refs overturned the call on the floor and gave Virginia the ball. Virginia went on to sink two free throws on the next possession, pushing the lead to four points, essentially ending the game. Was this the correct call? Yes and no. Yes in that Moretti’s finger was in fact the last to touch the ball before it went out of bounds. No in that the microscopic inspection of late-game out-of-bounds calls using instant replay goes against the spirit of the rule, the spirit of the game, and is completely inconsistent with how every other out-of-bounds call is made during the vast majority of the time when instant replay isn’t in effect. The call might be, strictly speaking, right, but it is right in a way that is wrong. Is this what we want from our sports? Is it worth it to trade instantaneous, wholly satisfying, and functionally correct calls for long, momentum killing delays, and endless replays of a second or two of action for the sake of a tyrannical “accuracy” that is only possible by consulting the machines? When does basketball stop being basketball and turn into analysis of the Zapruder film? Last night was just one play, in one game, in one sport, but it reflects a sports-wide trend. Football is doing it, because the risk of getting something wrong might turn Saints fans into GamerGaters. Soccer is doing it, because getting offside calls correct at a marginally better rate is more important than the emotion of the game. Baseball is doing it, because rewarding a player for a stolen a base should never come before correctly deducing whether a runner’s hand was a millimeter off the bag. 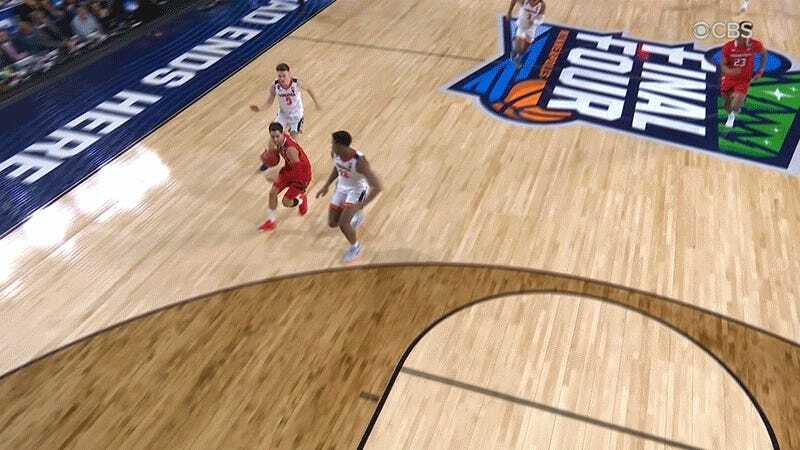 Last night, announcers Jim Nantz, Grant Hill, Bill Raftery, and Gene Steratore, armed with dozens of replays from various angles, were all dead certain the ball went off Hunter, right up until they weren’t. Of course, no one pointed out the ridiculousness of the whole endeavor, or how the “correct” call felt like anything but the right one. Instead, the CBS team humped the video-assisted overturning, showering praise on an officiating crew that needed eons to get it right in the most unsatisfying way possible. This is how sports work now. And it’s not going to get any better.